Enjoy hours of airgun shooting while protecting the environment. 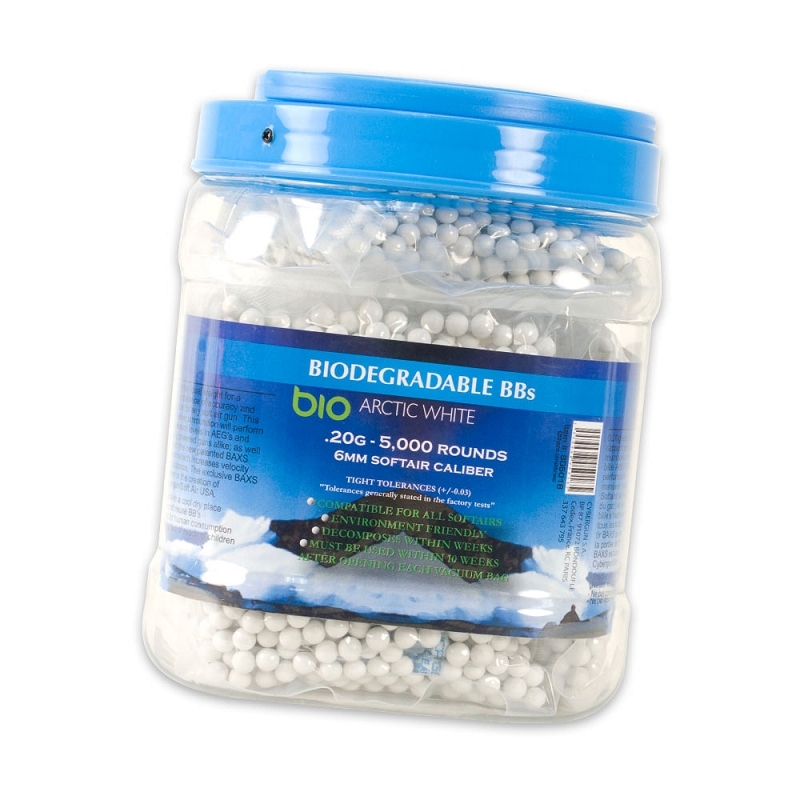 Get this bag of biodegradable Arctic BBs today. Bag contains 5000 premium 20g white biodegradable BBs. Guaranteed to be precise. Stock up on Airsoft Ammo for the right price!